It’s been a while since this was released, but I never got around to putting this on my blog. You see, I created my first complete game for the Atari Lynx and put out both the ROM file in LNX format and the source code. 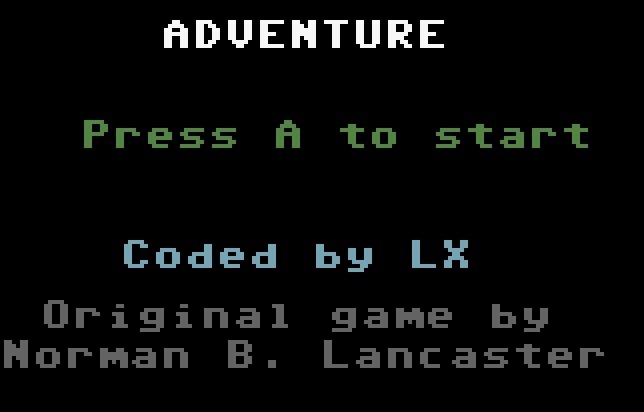 The game is based on a sample called adventure.asm by Norman B. Lancaster which you can find on the www.6502asm.com website. Simply select that file from the dropdown, press Compile, then Run and play with the WASD keys to move. I found that small sample so enjoyable to play, simple as it looks and works, that I chose it as my learning project. ; flash only red, and you will loose! 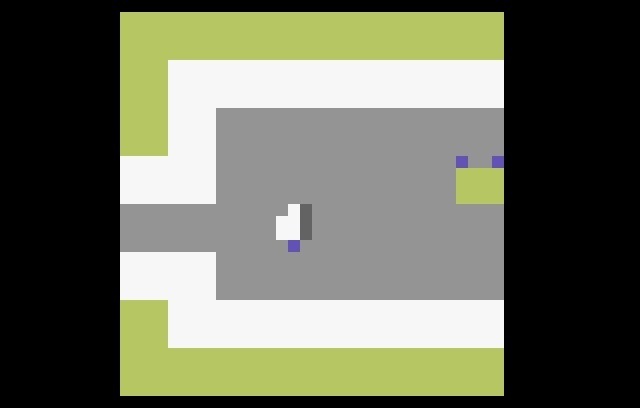 The game is minimalistic and has no sound and only simplistic graphics (like the original). 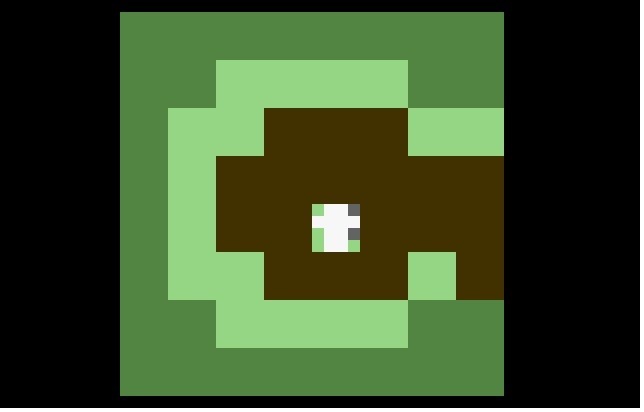 Yet it also has a nifty feature that might make it fun to replay: random item placement. 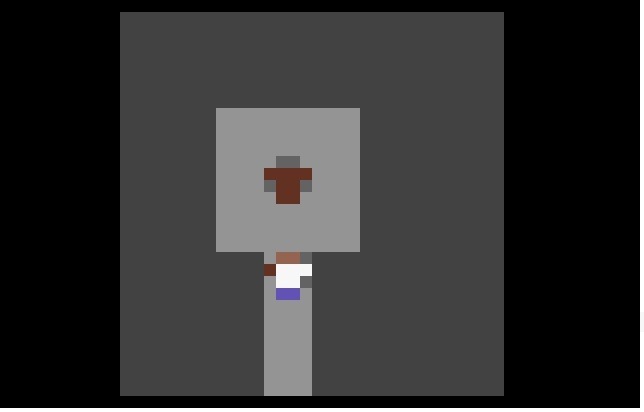 The world stays the same, but the items will spawn at random locations in the world. The screen does not flash red when you loose from Evil Guy. 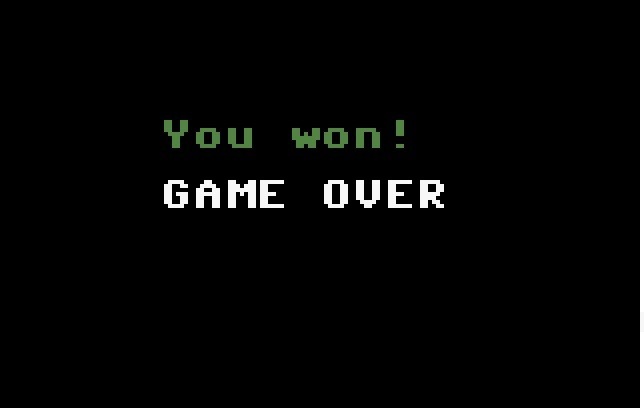 Instead you get the Game Over screen. The pictures show the start screen, the death star weapon and crown items and the entry of the black castle. Finally there’s Evil Guy and the victory screen. “The dastardly Bad Guy is in need of defeating and Good Guy, the only other person in this particular part of The World, has been sent to sort him out. But evem getting to Bad Guy is going to take a lot of exploration. 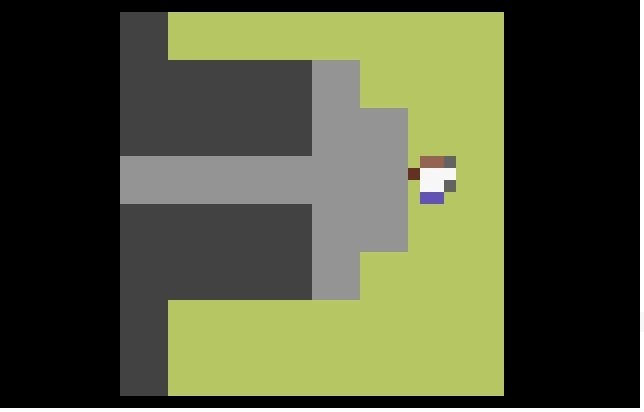 Not only that, but Good Guy will also need to locate a pair of floppers to swim through otherwise impassable lakes, search the desert for a key to open the ominous-sounding Black Castle and, unless the protective crown and deadly weapon are also retrieved, trying to take on Bad Guy will automatically prove fatal for our hero. 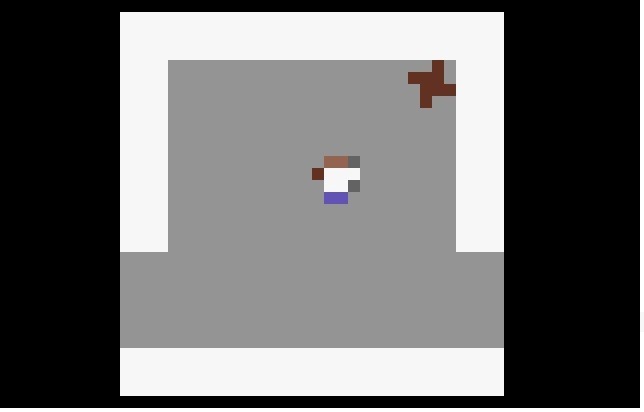 The blocky graphics and non-existent sound – both due to the original game being written for an online 6502 emulator – really don’t do the Lynx system any justice at all, but somehow, even though the gameplay is limited to just exploring and collecting the occasional object, it’s still and entertaining undertaking. Jason Kelk gave the game a whopping 80%, which is pretty good for the game it is. Included for your convenience are the game and its source code: Source code and Rom file in my Atari Lynx SkyDrive folder. 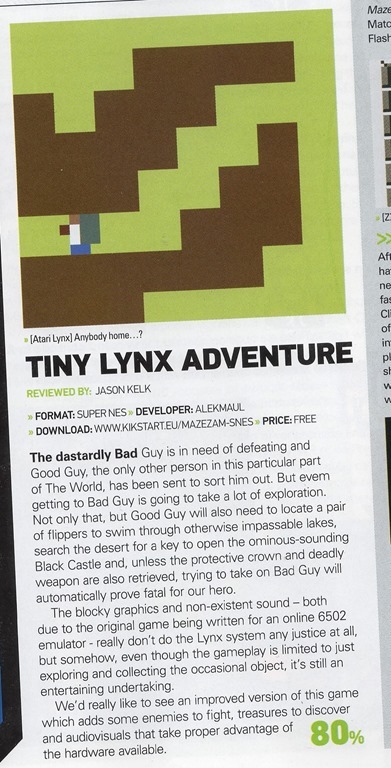 You can read about the discussion around TLA on the Atari Age forums for the Lynx. Drop me a comment if you are interested in reading a technical lowdown on the game or if you want the source code to be upgraded to the latest CC65.